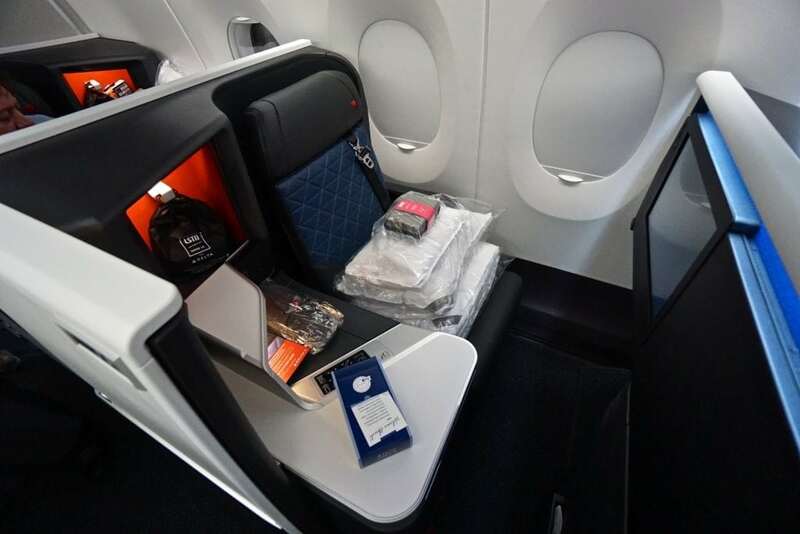 Delta’s Airbus A350-900 flagship and upgraded 777 design is part of Delta’s multi-billion dollar investment in the overall customer experience. Delta Air Lines, Inc. (NYSE: DAL), commonly referred to as Delta, is a major United States airline, with its headquarters and largest hub at Hartsfield–Jackson Atlanta International Airport in Atlanta, Georgia. The airline, along with its subsidiaries and regional affiliates, operates over 5,400 flights daily and serves an extensive domestic and international network that includes 319 destinations in 54 countries on six continents. Delta is one of the four founding members of the SkyTeam airline alliance, and operates joint ventures with AeroMexico, Air France-KLM, Alitalia, Korean Air, Virgin Atlantic, Virgin Australia, and WestJet. Regional service is operated under the brand name Delta Connection.